Katharine Coles wrote her fifth poetry collection, The Earth Is Not Flat (Red Hen, 2013), under the auspices of the National Science Foundation’s Antarctic Artists and Writers Program. 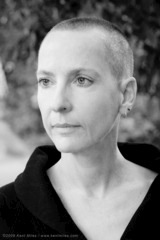 From 2006 to 2011, she served as the Poet Laureate of Utah. In 2009–10, she served as the inaugural director of the Poetry Foundation’s Harriet Monroe Poetry Institute, and for 2012–13 she is a Guggenheim Foundation fellow. We are not allowed to take photographs.